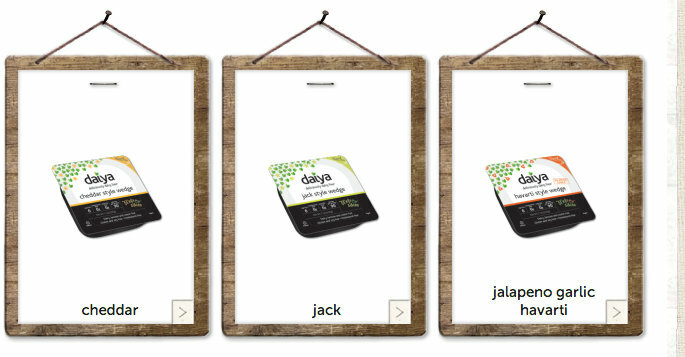 Looking for some great gluten-free and dairy-free products to try? Here are some of my favorites! Disclaimer: These reviews are completely independent, and anything listed here is something I have bought myself without any assistance or persuasion from any of these companies. Oh my GOD this stuff is good. It's the best almond milk I've tried to date - and I've tried a LOT of them. It's silky, creamy, and refreshing with a fabulous taste and texture. I love to drink this on its own, but it's also great as a base for hot chocolate or to use in baking. 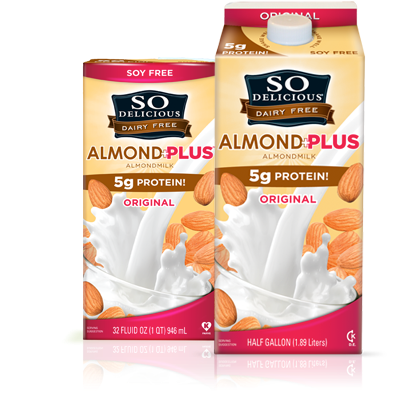 It's relatively new to the market and may not be on shelves yet, but you can find out where to buy it and download coupons on the So Delicious website. Find more here. It melts, it stretches, and it tastes divine. 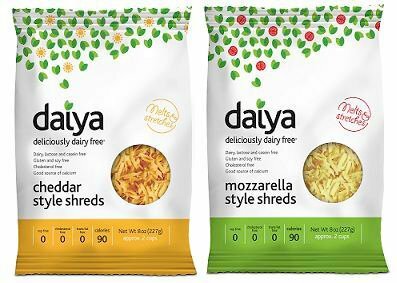 In my opinion, Daiya is better than any other vegan cheese I have tried (and I've tried, in earnest, to find one that I really liked), and not only is it dairy-free, but it's also free of gluten, soy, eggs, and cholesterol. And it has just 90 calories per 1/4th cup - not bad, and roughly on a par with regular mozarella cheese. I've had it on pizza, in quesadillas, and in macaroni and cheese, and trust me - vegan cheese doesn't get better than this. More information here. I didn't think that it could get better than Daiya's shreds, but these wedges melt even better than the shreds do! 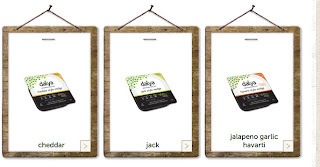 So far I have only tried the Jack style wedge, and it is absolutely delicious. I've had it sliced on crackers, which tastes remarkably like regular cheese and crackers. And I've melted it over burgers, pasta, and pizza with fantastic results. It becomes very creamy, almost like a very thick white sauce, and is delicious. More information here. 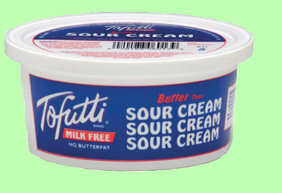 Tofutti "Better than Cream Cheese"
I like the flavor of this spread onto bread or a bagel, but Tofutti now has many other flavors of cream cheese available as well, including Herbs and Chives and French Onion. You can use the plain one as a substitute in baking and make some killer buttercream icing that will taste just like the real thing. They also have many other dairy substitutes. Visit Tofutti's website for more info. Tofutti "Better than Sour Cream"
This is another wonderful dairy substitute that I use often, both for cooking (it's great for adding a bit of zing to "cheese" sauces) and baking, and of course as a topping for Mexican food. And latkes. 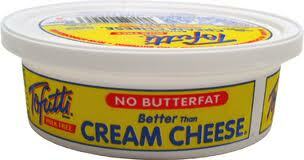 It's rich, creamy, and extremely sour cream-like. Visit Tofutti's website for more info. This is hands down my favorite vanilla ice cream substitute. The vanilla flavor, and not a soy or rice flavor, is the most prominent one, and it is wonderfully creamy. It even got a thumbs up from the rest of my family! 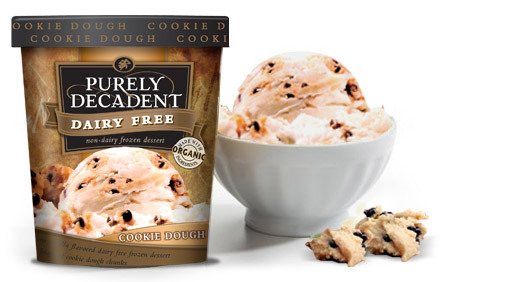 And it's one of the cheapest non-dairy ice cream substitutes available, so you'll be getting the most for your money. Other flavors include Cherry Chocolate Chip, Chocolate, and Mango Vanilla. They are all wonderful! How can you NOT love a company that makes a gluten-free cookie dough ice cream?? These are more expensive and come in smaller, pint-sized containers, but this is perfect for an occasional splurge. And with a much wider variety of flavors than what Trader Joe's offers, you might be able to find a more specific flavor that you miss. You can download .pdf file from the company website which will tell you exactly which flavors will suit your particular diet. Find out more here. A delicious alternative to meat that is both vegan and gluten-free! 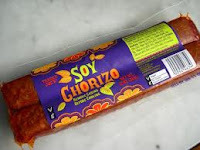 This is a bit crumbly, so it is perfect to put into a soup or to cook as a ground meat substitute, and adds a nice kick to your dish. We all miss it! So what are the best brands of commercially available bread? Udi's makes a whole mess of amazing bread. My favorites are the Whole Grain Loaf (sliced) and the Whole Grain Hamburger Buns (which can also just be used as dinner rolls or sandwich buns). Both can be enjoyed WITHOUT toasting, something that not every gluten-free bread can boast. It's like eating a real sandwich again - and one that won't fall apart in your hands after one bite compromises the structural integrity! Find more Udi's products here. I lived in Germany for two years and came to adore the bread there during that time - this was before I was diagnosed with celiac. It is unrivaled, in my opinion - so many wonderfully dense breads studded with seeds and nuts. Bakeries on every corner selling fluffy little bread rolls for 30 cents. And a whole line of thinly sliced rye breads that are perfect for toasting or for making sandwiches. This last category has been almost impossible for me to recreate, which is why I was so glad to see this in my local Whole Foods. It's kind of expensive and so I've only tried the toast bread once, but if you're really gunning for a rye-tasting piece of toast, this is the product for you. It's delicious and stays together just like real bread! Visit the Bavarian Gluten-free Bread website to learn more. On the recommendation of another gluten-free friend, I tried the plain version of these tortillas and was very impressed! They are pliable and don't shred to pieces upon being touched like other tortillas have done, and if you toast them lightly, make excellent burritos. I also used one without toasting to make a wrap and it stayed together very well (although did crumble ever-so-slightly). I definitely recommend these if you're missing flour tortillas and the corn ones just aren't cutting it for you. Find more information here. With a wide range of peanut butter flavors - my favorite being Mighty Maple - Peanut Butter and Co. had to have a place on this list. Aside from the delicious maple peanut butter, they also offer Dark Chocolate Dreams, White Chocolate Wonderful, and The Heat is On (disclaimer: I have not tried these other flavors yet). And best of all, they are all certified gluten-free! Find more by clicking here. Well, as a peanut butter enthusiast (or, as some would say, addict), I have to say that this is one the best peanut butter varieties I've ever tried. 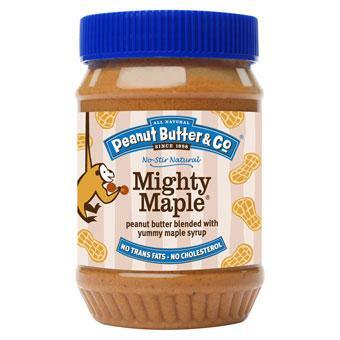 It's got a perfectly creamy consistency and a slight sweetness to it (without being overpoweringly sweet like some other peanut butters are). It's definitely a staple-to-be! 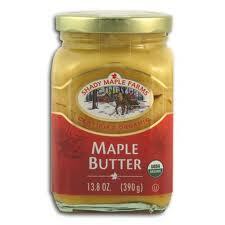 One of my very favorite things in the world is maple, and this spread is packed with pure maple flavor. 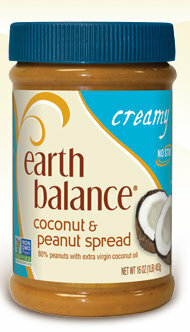 Spread on pancakes or toast, or - my personal favorite - swirl with some natural peanut butter on toast. It's quite expensive, but as an occasional treat, you can always justify the cost with how good it is. I find it at Whole Foods, but check your local retailer to see if they carry it. How could Pamela's cookies not appear on this list? Almost everything I've tried of Pamela's has been fantastic, but my favorite of her products are the Chocolate Chip Mini Cookies. 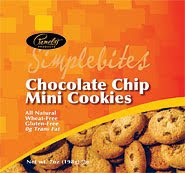 They taste just like Chips Ahoy to me, and I have given them to many non-celiacs who loved them as much as I did. They also work fantastically as a pie crust if you grind them in a food processor with some butter substitute, or as a killer crumbled topping for vanilla ice cream. Find other Pamela's products by clicking here. All I can say is, this granola is amazing. It tastes just like the gluten-ful granola I used to buy from the bulk bins at Whole Foods in my pre-celiac days - crunchy, sweet, chunky, and delicious. Also, addictive. The three flavors I've tried so far are the Pecan Almond, Vanilla Maple, and Chocolate Chip, and they are all fantastic. I have no doubt that the other flavors are just as wonderful. 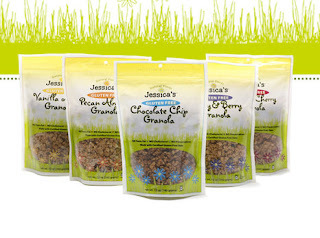 This granola is only available in retail stores in the Midwest right now, but you can order online by going to Jessica's website - and if you do, she'll throw in 2 free bags when you order 6, making the unit price of each bag less than what you'd pay in the store! And who would turn down free and extra granola? Not I. 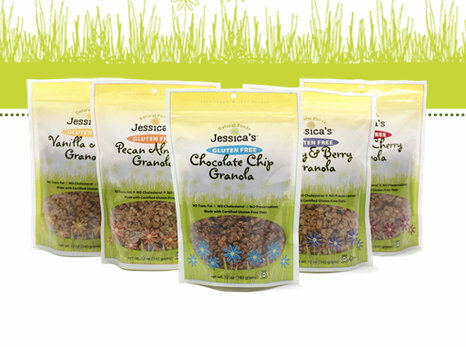 To place an order, visit Jessica's Natural Foods website. It's always been my favorite flavor of Chex to begin with, and the folks at General Mills have now gone out of their way not only to label their products gluten-free, but also to develop a wide range of gluten-free options for their products. 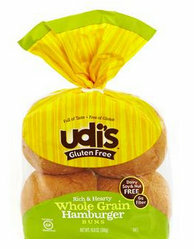 Check out their website here and download the list of their roughly 250 gluten-free products. You seriously won't be able to tell the difference - that's how much like regular pretzels these taste like. Always delicious, and very addictive. Try using with dips or peanut butter for a quick and easy snack. 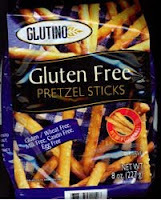 And here's another wonderful gluten-free pretzel option! These are crispy and light and taste just like regular pretzels. And are hard to stop eating. Like, really hard. Visit the Snyder's website to learn more. 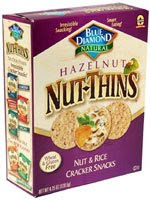 My favorites are the Hazelnut and Almond Smokehouse (which are very reminiscent of bacon in the best way), but they are all good. Light and crispy, they are great on their own or with a dip. Visit their website to find out more. 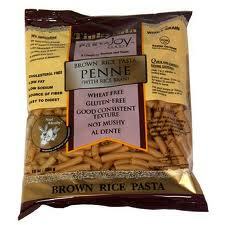 It comes in a variety of shapes and sizes and is one of the best gluten-free pastas on the market, in my opinion. It doesn't get mushy and holds up well with any kind of sauce I've made with it. More information here. If it's an Asian noodle dish you're after, try these stir-fry noodles. Thai Kitchen also offers a range of various sauces, including Pad Thai sauce and Peanut Satay Sauce, and many other products which state that they are gluten-free right on the label. To save a few dollars, buy in bulk and get the box of noodles and a jar of sauce separately - they'll both last longer and feed you more. 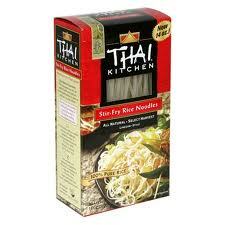 Check out other Thai Kitchen products at their website. I haven't found them much in America yet, but Orgran products (based in Australia) are available in other parts of the world and in some places here in the U.S.. 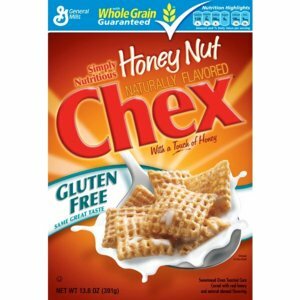 They make a variety of mixes that are free of the most common allergens, including gluten, dairy, soy, and eggs, and all of the ones I have tried are pretty fantastic. I've had their pastas (made with various combinations of whole grains), chocolate and amaretto biscotti, falafel mix, and many of their flour mixes, including Self-Raising Flour and Alternative Grain Bread Mix. Official website can be fond here. 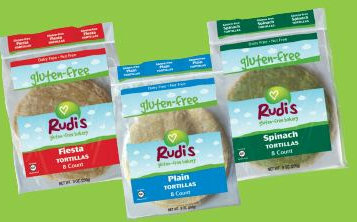 With a dedicated gluten-free facility, you can cook and bake with peace of mind when using Bob's Red Mill's products. I particularly love their gluten-free oats (please check with your doctor before consuming any oats, even if they are gluten-free). Other products include almost any gluten-free flour, starch, or grain you can think of, not to mention their range of cake, cookie, and bread mixes. 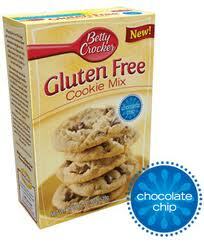 To see their gluten-free selection of products, click here. Gluten-free has become much more mainstreamed - Betty Crocker has four different baking mixes out, and apparently, General Mills has even developed a gluten-free Bisquick mix to go along with them. I have only tried the cookie mix, but can vouch 100% that these cookies are amazing and delicious enough to be served to anyone, regardless of dietary restrictions. Find more about Better Crocker's mixes here. More to come! Have any products you think belong here? Leave a comment below! we get the "yves" brand taco meat and ground turkey which are vegan and gluten free. It's a little expensive but we have a cool store out here on the coast called "grocery outlet" and when they have it it's about 1/4 of the regular grocery store. Thank you for sharing. This is a really great list. I am newly GF and always on the look out for good GF brands. My friend recommended Bavarian's flaxseed bread. I will have to try out their GF and wheat free as well.